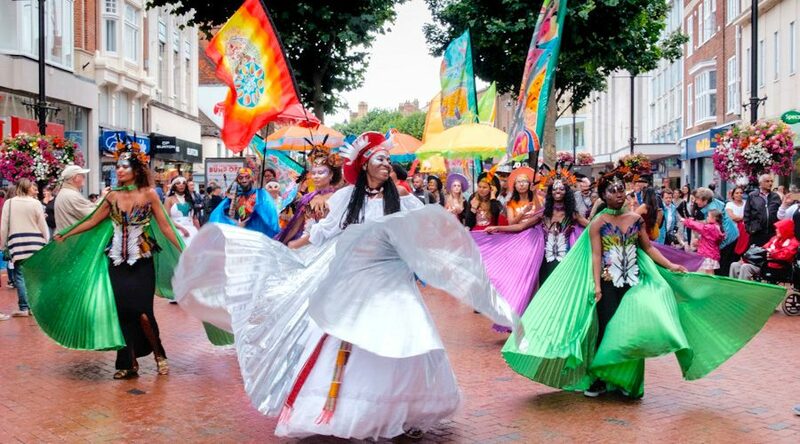 CultureMix launched Carnival of the World in 2016 as an annual project designed to represent and celebrate diversity with creative workshops and high quality public events. For 2018 Carnival of the World will host workshops in music, dance, costume, flag making, dance and performance with work experience opportunities for young people who want to try their hand at event planning, stage management, talent development and all the elements associated with staging a performance tour. The workshops will culminate in shows in Reading, London and Bristol featuring a walking procession and stage performances of music, art and dance from around the world. Previous events showcased Reading All Steel Percussion Orchestra, bhangra and dhol from India, dance and carnival costumes from The Caribbean, traditional dance and music from Africa and Latin America.